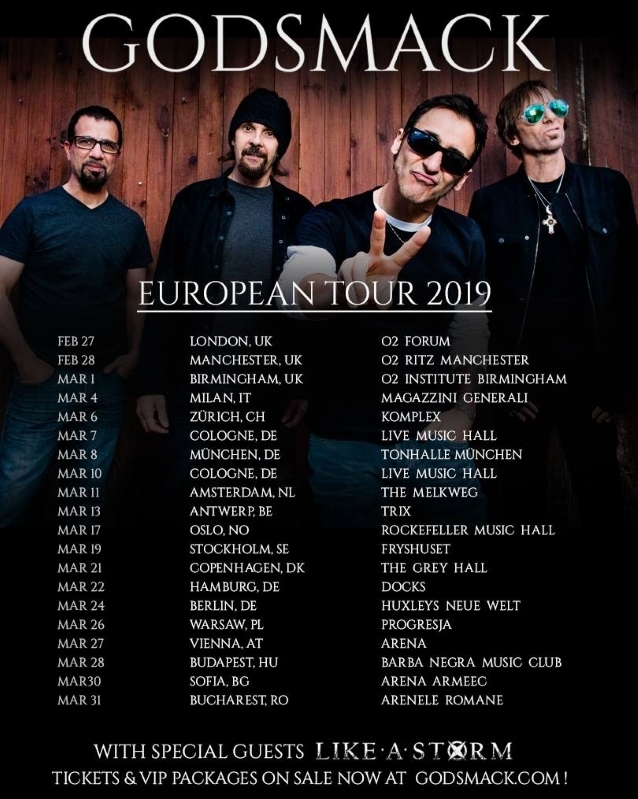 GODSMACK, the Massachusetts-based band which recently had to postpone its fall European tour due to the unexpected death of the son of guitarist Tony Rombola, has announced plans for a 20-date trek in 2019. The tour is set to kick off on February 27 in London, with LIKE A STORM confirmed as direct support. Tickets are on sale now for all shows, including a second date at Live Music Hall in Germany recently added due to high demand. When GODSMACK announced the postponement of its European tour last month, vocalist/guitarist Sully Erna said in a statement: "With my deepest regrets, and on behalf of our guitarist Tony and his wife Sue, I am personally writing this message to all of our fans worldwide to inform you that Tony and his family have suffered a loss that no parent should ever have to endure. 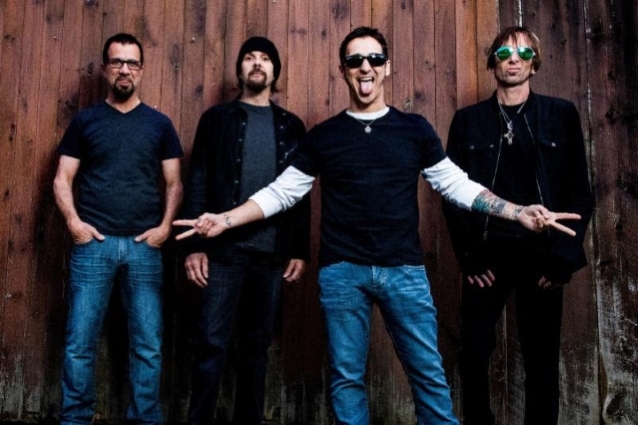 GODSMACK is continuing to tour in support of its latest album, "When Legends Rise", which was released in April. The disc follows up 2014's "1000hp" and is the band's first release through BMG after splitting with its longtime home, Republic/Universal.